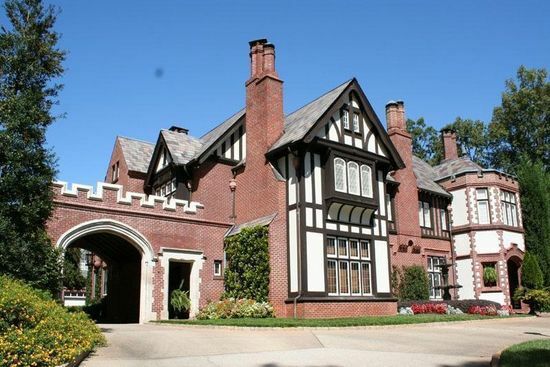 One of Atlanta's historic, elegant estates, Rossdhu, built in 1918 is perfectly sited on 4.47 lush and private acres. Beautifully restored home with 11 ft ceilings, oak paneling, luxurious master suite with his/her dressing/baths, carriage house with two apartments, six garages, lighted tennis court, six fireplaces, media room, wine cellar, exercise room. Well supplied sprinkler system.